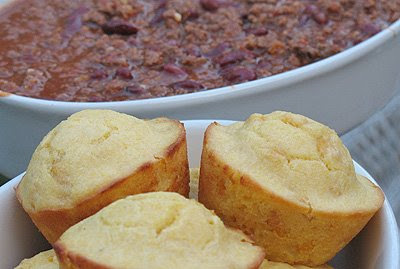 This recipe serves 3-4, we double everything as we have 6-7 (depending on if FIL is here). Brown ground beef in a skillet. While the beef is cooking, combine all of the seasoning ingredients in a bowl and mix together. Drain off fat from ground beef and return beef to pan. Add seasoning mix, water, beans and tomatoes. At this point you can add in anything else that you want to personalize the recipe. Bring to a boil, reduce heat and simmer for 30 minutes, stirring occasionally. 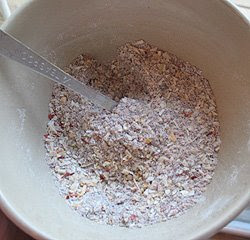 In a large bowl, combine the flour, cornmeal, sugar, baking powder and salt. 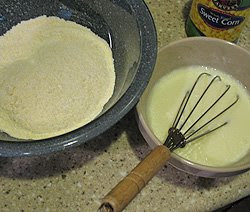 In a small bowl, whisk the egg, buttermilk and oil. Stir into dry ingredients just until moistened. Fold in corn. 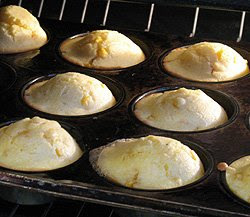 Fill greased muffin cups three-fourths full. Bake at 400° for 18-22 minutes or until a toothpick comes out clean. Cool for 5 minutes before removing from pan to a wire rack. Serve warm. Those muffins look great! 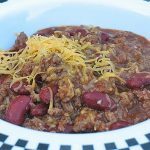 A perfect addition to that chili… boy, fall really is here with everyone posting about soups and chili! Hey-we were on the same wavelength-although I admit that I made mine a couple of weeks ago. I’m behind on getting my posts up. 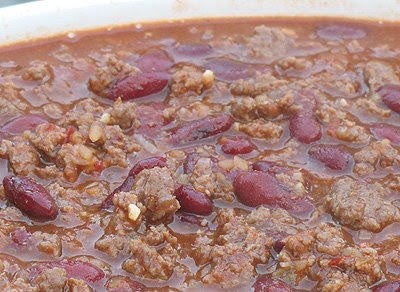 I love homemade chili – your spices sound perfect. 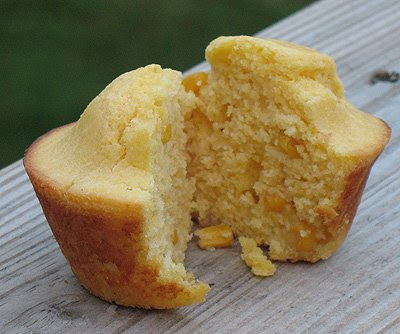 The corn muffin recipe is calling my name. 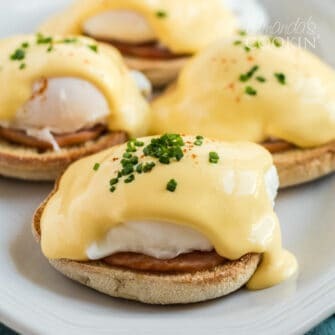 I’ve never made them (except from a box) so I am anxious to try this recipe. 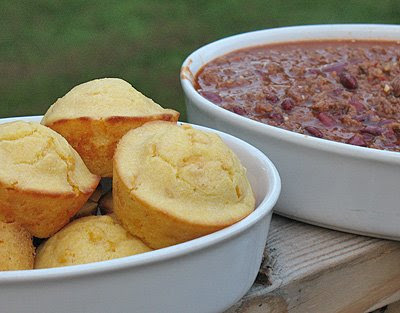 I’m still looking for a good corn muffin recipe too. Being a Yankee I like my muffins sweet! Sometimes I add some real maple syrup to my Jiffy mix. That’s pretty good. MMM! Looks good, Amanda! 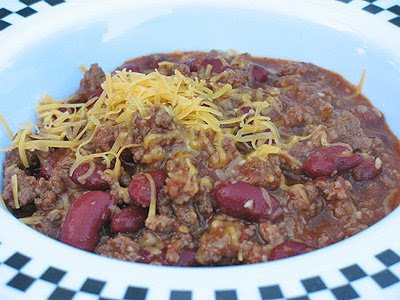 There’s nothing like a warm bowl of chili on a cold, rainy day like we had yesterday. 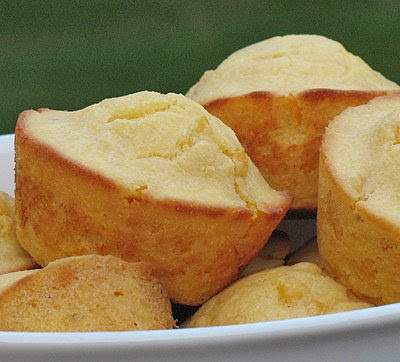 The corn muffins look super, too.